Home » Apple » How iPhone Taking us into the Marvellous World of Augmented Reality? Join in the world of augmented reality for an exciting and informative ride. You can get an app that can do pretty much whatever you want it to, on the move and on your screen. The possibilities are out there! If you are taking that trip to New York or live there; then you can use New York Nearest Places. This app lets you explore New York you have never seen it before. Find the nearest tube station, petrol station, or wherever you want to go and get the distance and directions on your screen! Golfscape GPS Rangefinder: is for the Golf lover and is a range finder that covers 35,000 courses. It displays the distances in detail and from all different angles so you can get on top of your game. Nearest Wiki is a great example of augmented reality. Find out more about any place that you choose. Simply tap on the place you want information for and find out everything you need to know! Find out more about the places near where you live; this app is interesting and entertaining to say the least. Similarly, Panoramascope can give you information on anything around you on another level. This app can tell you the name of a mountain and is certainly a breakthrough for the hiker and outdoor people out there. Find the places that you are looking for easily. Alongside this one, you could use AR Compass to keep you on track along the way! You can confirm which mountain that one ahead is with longitude and latitude readings as well as with the help these apps. The app store has loads of navigational tools to help you along your way – these can use a lot of your data though so get the best broadband. Shop around as much as you can and sign up for naked broadband after comparing deals. Cyclopedia is a great source of information on your surroundings. Move your iPhone around and get the information you need on the places closest to you. You can get information on everything within a few miles or everything just up ahead depending on how much detail you want! This app brings Wikipedia to your fingertips. Star Chart is a really amazing app for those who are into their astronomy and for those who just like the stars! Have your very own virtual star chart to hand and point your phone to find out the name of that star or planet. This amazing piece of technology is a great example of what we can do today with a simple, affordable device. You can even use this app in broad daylight, although you may not be able to see the stars yourself! SnapShop Showroom is fantastic when you are looking to redecorate or buy a new piece of furniture for a room! There won’t be many people who can say they have never wondered whether something will fit in to what they already have, or doubted that it will bring the desired style. Activating this app means you can literally picture those new pieces of furniture in the living room and effectively try out the look before you buy! 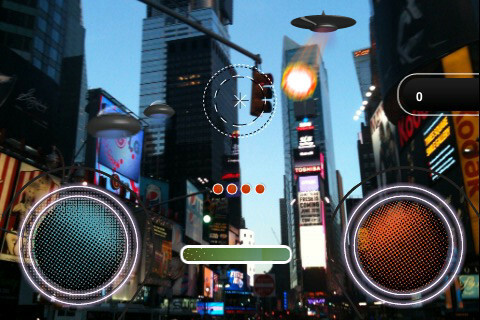 AR Invaders is cool; simple as. You can find yourself right in the middle of an alien war like you could never have imagined. Bring the game to you and fight the forces of extra-terrestrials in your surroundings, wherever you are. There are so many apps to choose from that brings the real world to you in a different, more exciting light. The number of options and possibilities will blow your mind! Sarah is a freelance writer based in North Wales. A keen reader, and inspired by the authors of fiction, Sarah is an up and coming author. When not writing professionally about how to get sim only contracts for naked broadband after comparing deals; you’ll usually find Sarah spending time with her partner and niece, if not reading or writing her book.